If you own a device that has spd chipsets, and after the hard reset if you stuck at google account verification screen then here we will solve your problem by unlocking FRP lock from your device, so just follow this process to Bypass FRP SPD Chipsets very easily, there is a couple of methods to unlock FRP from your device but we share here the latest and easiest method to SPD FRP Tool. This phone has some strong features, the front camera of this phone is good enough to provide crisp and clear selfies and the storage of this device is sufficient enough to store a big amount of images, videos and kinds of music, SPD FRP Tool. You can follow this method on any SPD devices, Only you need a good internet connection and download some files To Bypass FRP SPD Chipsets. 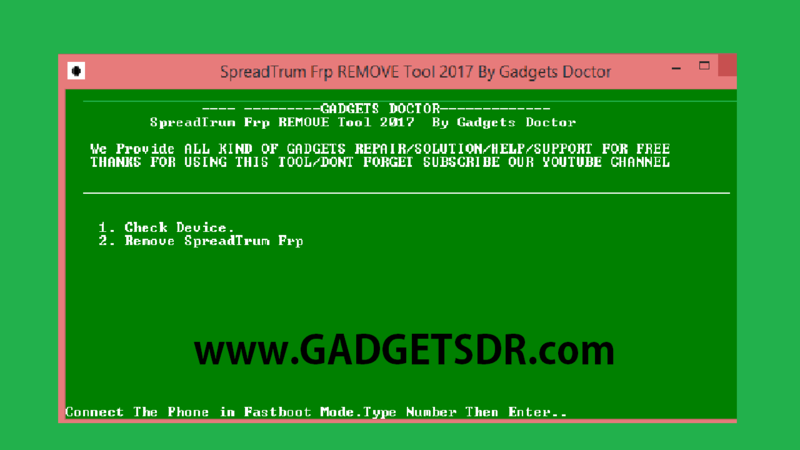 Note:- This method is successfully applied to the SPD FRP Tool. -Download & Install SPD USB Driver. Then Download 7zip or Winrar. Now Install ADB Driver on your Computer. Then Put Your Device in Fastboot Mode. 1.Using -Volume Up & Power key – When Boot Release Power key but still pressing Volume Up key. Then your Device automatically reboots to “FASTBOOT MODE”. NOW PRESS 1 for “Check Device”. Then Press “2” for Remove FRP. Then Disconnect and Power on your Device.